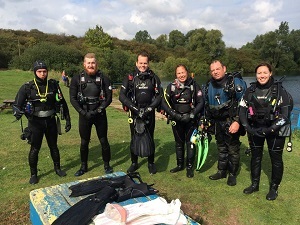 Underwater Adventures is a scuba diving club offering scuba diving trips in the UK and abroad and PADI Dive school with meetings in Hertfordshire, Bedfordshire, and Cambridge. 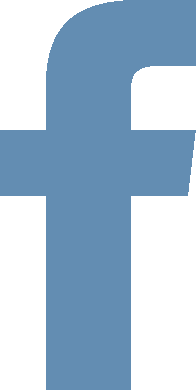 We have meetings at the Orange Tree pub in Hitchin, the Park Pub in Bedford, and the Red Bull pub in Cambridge, plus pool session at the Robinson pool in Bedford and the Bourn golf club just outside Cambridge. Offering PADI scuba diving courses for all levels from beginner to instructor, UK scuba diving trips all year round plus many foreign dive trips. We offer full equipment servicing and compressed air or nitrox fills delivered right to your door as well as scuba diving equipment rental and servicing plus discounts on courses and dive trips for club members. Humongous thanks to the most tolerant and supportive instructor I could ever have wished for! Today's dive in the Lake was awesome and I loved every minute! Next dive - Hikkaduwa in Sri Lanka in 3 weeks!!! Underwater Adventures have blessed me with a whole new world. Please ensure you contact them for all your scuba inquiries! Stephen is an exceptional instructor and the otherdivemasters involved really have been outstanding throughout my 6 months of training and preparation... it has been a long road but I am over the moon. I am now a PADI open water scuba diver and immensely proud of myself! 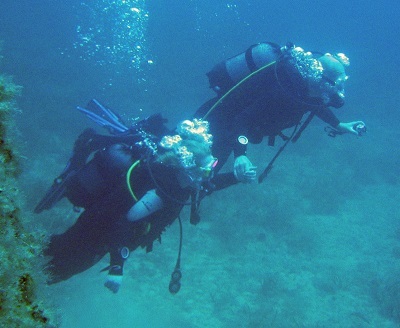 What does learning to scuba dive involve? 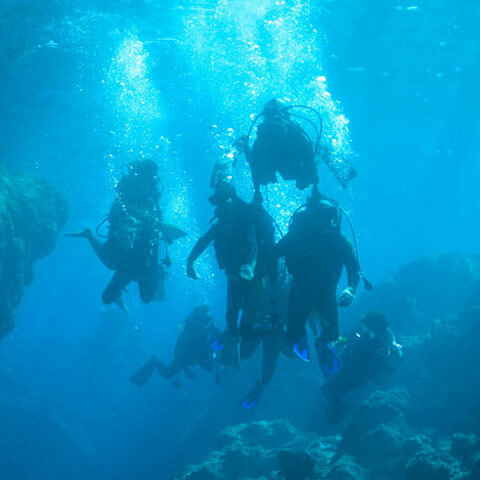 The PADI open water course is designed to teach you in a step by step process using some of the latest teaching techniques making it fun and enjoyable so you learn without feeling like you are learning. The first part of the course is the dive theory where you will learn about the effects water pressure might have on you and the air you are breathing, how your equipment works and the basic safety rules you need to follow. This is followed by a series of pool session where you learn the basic dive skills you need to scuba dive safely and be able to enjoy your scuba diving experiences while third part of the course is where you will be taken to an open water dive site and actually do 4 open water dives under the close eye of your instructor and dive team. Once you have completed these 3 stages of your course you will be qualified as a full PADI open water diver and be able to scuba dive anywhere in the world. You have a lot of new and exciting equipment to use and ideas to understand and this part of the course is where we start introducing you to these new things. Designed by teaching professionals and constantly improved over the past 50+ years, there is a reason the PADI open water course is the way the world learns to scuba dive and with the introduction of the new online dive theory products, you can start your course in the comfort of your own home and in your own time. You can fit it around your work and home life, be it on your commute to work or while waiting for the children to come out of school. You can make it fit around your needs. If you prefer we do also offer 1-2-1 dive theory session with one of our instructors where we will arrange a date and time for one of our instructors to come round to your home and go through it with you at your own pace once you have completed the home study part of the course which uses books and DVDs to take you step by step through the theory. The materials themselves are made up of 5 chapters each covering a different topic and at the end of each of these chapters is a knowledge review, a small self-assessment if you like, where you can check to make sure you have understood everything and then at the end of the five chapters is the final test, but don’t worry too much about it as it is just going over the stuff you have just read and tested yourself within the knowledge reviews and even if you don’t pass, one of our PADI instructors will go over the things you didn’t quite understand and make sure you are comfortable with it before letting you re-sit the test. During the pool sessions, called confined water in the PADI materials, you will start in shallow water which you can stand up in where you will go through the equipment you will be using and take your first breath underwater and yes you will sound a little like Darth Vader when breathing through your regulator (the bit you put in your mouth to breath) on the surface. You will then go for a swim to start to get a feel for the equipment and breathing underwater so that you feel comfortable with it and then to finish your first session you will be shown the first couple of skills such as how to clear your mask underwater and how to take your regulator out and put it back in underwater. During your subsequent pool sessions, you will be given the chance to develop your buoyancy skills so you don’t bounce along the bottom of the pool and have the chance to practice all of the safety skills. Now with most other dive schools you come across you will only have 5 pool sessions to learn these skill’s but here at underwater adventures we offer unlimited weekly pool sessions so that you can learn at your own pace and have plenty of time to practice the skills you have learned so that you are completely comfortable with them before you move on to your next skill and if you like to can go back over skills you are not sure about during the next couple of weeks. 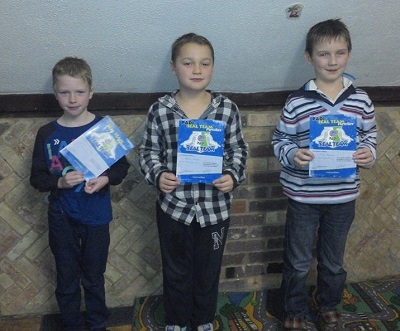 We want you to be the best divers you can be, which is why we give you all the support and time you need to learn. This is the point in the PADI system where if you don’t fancy completing your PADI open water course here in the UK you can finish the course while on holiday abroad in a nice warm country. Although the UK does have a lot to offer scuba divers, it is not for everyone and this option does give you the chance to get the bulk of the course out of the way here in the UK so that you are not wasting any of your valuable holidays stuck in classrooms or swimming pools when you can be out diving amazing reefs. 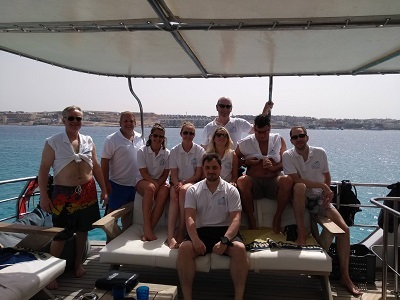 With the referral system, we will take you through the first two parts of your course and sign the certificates to show you have completed them which you will then take with you to your holiday destination and give them to the dive centre over there. They will then give you a quick pool session just in case it has been a while since your last pool session and to give you and the instructor a chance to get to know each other before taking you out to sea for your 4 open water dives over two days. This is a great option for those of you who will only scuba dive when on holiday but the main drawback to this is that it often works out a lot more expensive as you are having to pay two different dive centres. 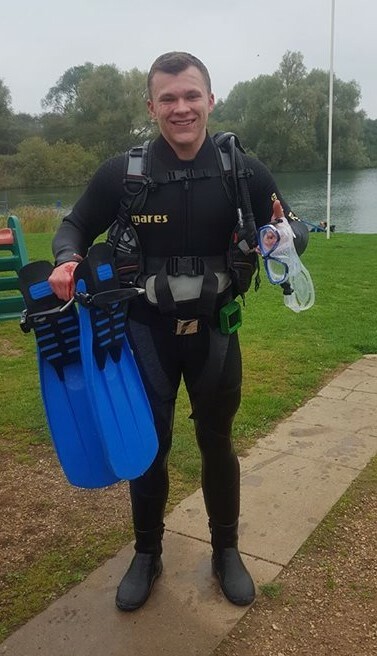 This option doesn’t exclude you from scuba diving in the UK though as even if you have taken this option we are happy to have to join our dive club when you get back and ease you in to scuba diving in the UK and teach you the extra skills you may need such as how to dive in a dry suit or use a delayed surface marker buoy. The final part of your course is your 4 open water dives. This will take place over a weekend, or two if you prefer, and you will complete 2 dives a day. During these dives you will demonstrate a few of the skills you have mastered in the pool mostly just to confirm to yourself that you can do them anywhere, and you will have a nice little swim around and enjoy the fish and marine life you see, all while under the close eye of your instructor and the dive team who are there to guide you and make sure you are safe and relaxed. At underwater adventures, we use a specialist scuba diving lake where has been cleared on dangers, stocked fish loads of different fish and even had a few wrecks especially sunken for you to investigate including a London double Decker bus and a jet airplane which you can sit in the cockpit of. It is a friendly site with loads of other divers for you to chat to, a fully stocked dive shop and a cafe for the obligatory bacon butty and cup of tea after the dive. Once you have completed your forth open water dive you will be a fully qualified PADI open water diver who is confident and relaxed enough to scuba dive anywhere in the world and explore some truly amazing places while on holiday or you can join the underwater adventures dive club which will give you access to all of our dive trips around the UK and aboard plus you’ll get to meet some great people who love diving and will be able to guide you through any area of scuba diving you wish to pursue. Learning to scuba dive opens up a whole new world for you with many different things and places to explore, be your interests in a wreck, of which we have loads around the UK coast, or wildlife, either just seeing them or taking pictures of them. The most important thing to do once you have learned to scuba dive is to keep diving. As a new scuba diver you can take the option of starting some specialty courses to learn more about an area that interests you or you can take the option most other divers do which is the PADI advanced open water course where you will experience 5 different areas of diving, from wreck diving to search and recovery diving, so that you can better get an idea of what sort of diving appeals you to. Or you can just carry on as an open water diver and join dive trips to explore your new skills and all the cool things most other people never will get a chance to. 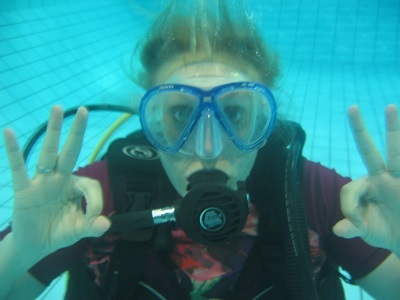 If you are still not sure if scuba diving is for you then why not do a taster session beforehand? This is just an hour long pool session where we will take you through the basics of scuba diving and give you a chance to try it out. 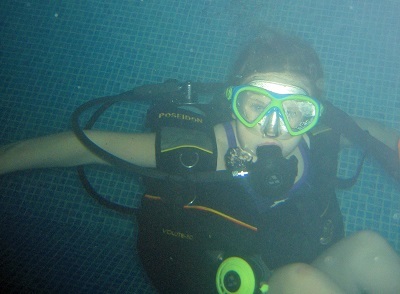 The PADI version of this is called Discover Scuba Diving and we run these sessions monthly at out pools. 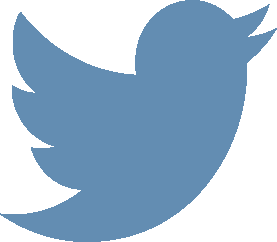 If you still have questions about learning to scuba dive we also have an FAQ’s page which you can check out by clicking here. Having spent the past 15 years as a scuba diving instructor, 11 of which running underwater adventures, I have been asked every scuba diving related question you can think of, so to help you with deciding if you want to learn to scuba dive I thought I would write out a list of the top frequently asked questions (FAQ’s) I have been asked in all of my years in teaching people of all ages to learn to scuba dive. The standard PADI open water course consists of dive theory, 5 confined water (pool) dives and 4 open water dives and it is the same with most other training agency’s including SSI and BSAC courses and these should take you at least a week to complete the full course although you might find shorter courses in holiday resorts which can last as little as 3 days. How much does it cost to learn to scuba dive? 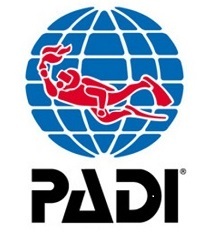 The standard price as of writing this here in the UK is around £500 for the full PADI open water course and as I mentioned above we do charge a little more at £549 due to us offering the unlimited confined water (pool) sessions. The price will vary from country to country with the dive centres in tropical holiday spots tending to be the cheapest option due to the high numbers of students they allow on each course, the more people on each course the cheaper it is to run the course, but you will still be looking at around £300-£350 in these holiday resorts. If you find one that is much cheaper than this I would strongly recommend you ask yourself why it is that much cheaper as in scuba diving, as in most things, you get what you pay for and going with the cheapest is not always the best idea. How deep can you scuba dive down too? The deepest scuba dive ever was in Egypt in 2005 by Ahmed Gabr who got down to 332.35 metres. This dive took him over 14 hours to complete due to the amount of time he had to spend decompressing on his way back up but most of us will never go anywhere near that depth as we are mostly all recreational divers. The PADI recreational dive limits, I’m using PADI as that is the agency I teach with so I know the most about but most agencies are the same or at least very close, are for an open water diver (entry level) 18 metre’s which increases to 30 metre’s once you complete your advanced open water course and then it goes up to the maximum recreational limit of 40 metre’s with the deep diver course. These are the recreational diver limits and you can go deeper if you wish by completing technical diving courses which slowly build up your limited with time and experience as the deeper you go the more things can go wrong so you want to be as prepared as possible before going really deep. The thing I always tell my students who ask me this is that most of the cool fish and stuff like that tend to be around the 15-25 metre range so sticking with those depth means you will be able to see most things and not miss out on too much. How long will my air last? This is one of those “how long is a piece of string” questions as it will depend on a number of different factors such as how much experience you have, how relaxed you are, how deep you plan to dive to, how much work you have to put in any currents there are, and a whole range of other things. 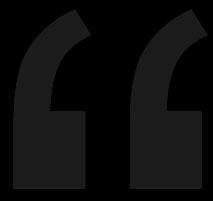 Generally speaking, all thing being considered, a relaxed, experienced diver with good trim who is staying around the 20-metre mark will stay down for around an hour. But Like I said, there are a number of factors that will affect your air consumption and one of the best things you can do is learn to scuba dive properly, with proper weighting and good buoyancy control and you will find that you will be able to stay under the water for as long as you need for the dive you are planning. Which agency should I learn to scuba dive with? PADI, SSI, CMAS, BSAC, NAUI, SDI, SSA, PDA, It’s like alphabet soup when you look at all the names of the different training agencies you can learn to scuba dive with and it can seem a little daunting to choose the right training agency to go with but in all honesty, they will all teach you to scuba dive safely and they will all cover the same basic skill’s during the course, just with some of the extra skill’s within the course is slightly different. Obviously, the larger agencies such as PADI and SSI are better known around the world but even the smaller agencies are recognized in most countries, although the dive centre you go with may have to do a little research to check the limits a qualification from a smaller agency has. So ultimately it doesn’t highly matter which agency you go with, what really matters is that the dive centre teaching you sticks to the standards and the instructors who are teaching you do a good job and make you feel comfortable so it is important to do a bit of research before booking looking for good recommendations for divers who have done courses with them before. Yes, but you don’t have to be an Olympic swimmer, you just need to be comfortable in the water so you don’t panic when you are in water too deep to stand in. For the PADI open water course, you do need to be able to swim 200 metres but there is no time limit and you don’t have to do a certain type of stoke while swimming, you can doggy paddle if you like and take an hour to complete it. As I said, it is more about making sure you are comfortable in the water while you learn to scuba dive. If you can’t swim already or would like to improve we do have a number of contacts at swim schools who can help you and we are happy to put you in contact with them. 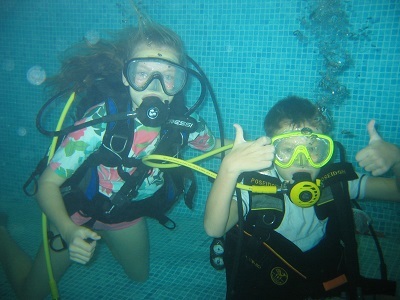 Can my children learn to scuba dive? 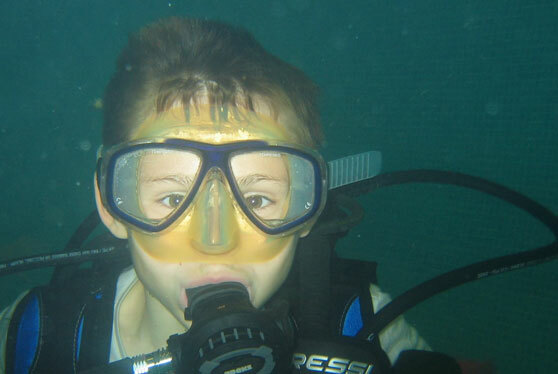 We can start children’s scuba diving courses from the age of 8 with the PADI Bubblemaker, PADI Seal Team, and PADI master seal team courses which are designed to get children accustomed to scuba diving in the safety of a swimming pool before they are old enough to move up to the full PADI junior open water course at the age of 10. From the age of 10 to 12 there are limits on what children can do with their open water qualification like only being able to go to 12 metres rather than the 18 metres you can with the full PADI open water course for safety reasons but it is great to get children into the water early in life as they learn so quickly at this age and from my point of view, children are a pleasure to teach. I have a medical condition, can I still learn to scuba dive? I have added a link here to the padi medical statement so you can take a look through it and if you tick yes to any of these questions you will need to speak to a scuba diving doctor before we can allow you in the water but generally, as long as the medical issue to under control, there is not normally a reason why you can scuba dive with most medical condition. But do read through the PADI medical statement first and if you have any questions please feel free to contact us and we will be happy to put you in contact with a specialist scuba diving doctor who will be able to help you. Do I have to have all my own equipment before I learn to scuba dive? Generally speaking, No. 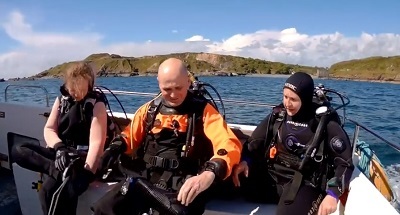 Like most dive centres we offer rental equipment for the course which is included in the price of the course although we don’t hire out wetsuit boots as here in the UK it is very hard to get them completely dry between dives so if you are sharing wet boots nasty things can spread. Some dive centre may ask you to buy your own mask, snorkel, and fins but this is the exception to the rule as most dive centre will be able to provide you with everything you need. Once you have learned to scuba dive you may wish to start investing in your own equipment which is fine but I would suggest starting slow and just picking up a few basics to start with so that you have time to dive with other equipment and learn more about it before buying the big things as it can start to get expensive and you don’t want to rush out and buy a load of kit only to find out it doesn’t feel right for you or you decide to want to move into another type of scuba dive where you need slightly different kit setups like underwater photography or wreck penetrations. This is probably one of the most asked questions I get, or at least something similar. Don’t worry, despite what Hollywood is telling you, sharks have no interest in eating a scuba diving. We are covered in think rubber and have a large lump of steal on our backs which makes us not very tasty and a lot of hard work for any shark big enough to take a bite. In fact, once you have started scuba diving you are the one most likely to be chasing sharks just so you can get a good picture of them to show everyone just how cool sharks are. I’m nervous about scuba diving, is that a problem? Have a few nerves is totally normal, you are about to breath underwater which is something you have never done before. So don’t worry if you are a bit nervous before you start to scuba dive as this is to be expected and as such, your instructor will be ready for it and take their time with you to make you feel comfortable in the water and won’t push you to do anything you are not ready for. 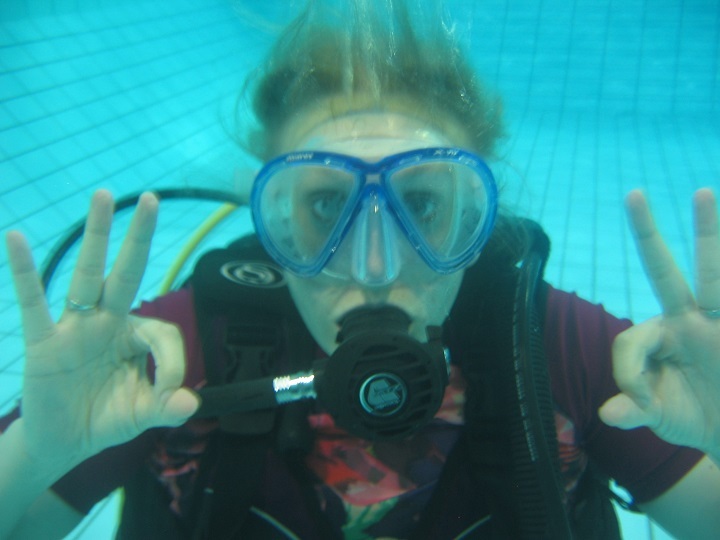 If you are really nervous about scuba diving then why not do a discover scuba diving session first, where we will take you in the pool with the equipment so you can have a go and see if you like it before signing up to the full course? So why not take the plunge and contact us to book you try dive or full PADI open water course? Introduce your children to the underwater world. If your child like the water, they will love scuba diving. It opens up a whole new world for them, a world of amazing wildlife, sunken treasure, and stories of adventure and we at underwater can offer several different options to introduce them to scuba diving, from children’s parties to try dives and the best bit is, Scuba diving is open to anyone aged 8 and over. The perfect way to celebrate a birthday or any other events with a two-hour pool party where the children will get to try out snorkeling and scuba diving followed by cake, scuba diving themed obviously. We can offer these parties on weekend afternoons for up to 12 children with the session lasting for two hours. During the children’s party, the children will be split into two groups which will allow us to keep a close eye, even on the larger groups. The first group of children will be given the opportunity to learn about the scuba diving equipment and then try out scuba diving equipment and have a little play around under the water all the while under a watchful eye of a PADI professional. While this is happening the second group of children will be shown how to snorkel properly and duck dive under the water to get a closer look at some fish. Any children’s party would not be complete without cake and at the end of the session, each child will receive a scuba diving themed cupcake made by the professionals at Katiebelle Cakes, a local, fully insured and registered specialist cake maker. There are two options for this, and these depend on age. For children from the ages of 8 to 10 years old we offer the PADI Bubblemaker experience, and for children 10 year and old we can offer the full try scuba diving experience. The only real difference is that during the try scuba diving experience for older children we go over more of the basic scuba diving skills to help prepare them for the full PADI open water course which is the next step after the try dive whereas the PADI Bubblemaker session is more about just having fun and getting used to the equipment. 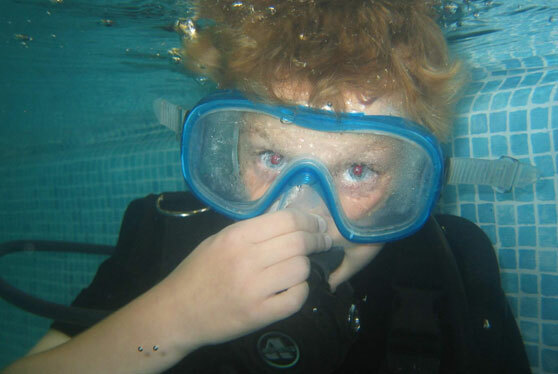 Don’t worry if you have two children either side of 10 years old through as we are very happy to take both of them into the Bubblemaker session so that they can make their way through scuba diving together. If you would like to know what the children get up to during these sessions, please click here to take a look at some of the filming one of our groups did as a bit of fun. If your child really enjoys their scuba diving experience they can then either move on to the full PADI Open Water diver course where they will learn to scuba dive or if they are still a little on the young side they can take part in the PADI seal team and PADI master seal program’s which are design to prepare children between the ages of 8 and 10 for the full open water course giving them loads of in water time to learn about buoyancy and equipment control whilst learning the basic scuba diving skills like mask clearing and regulator recovery. Copyright Underwater Adventures © 2019.